The main characters of the novel - two boys and two girls. The farmer Gerardo wears around his neck a medallion with the coat of arms of the ancient Spanish race. If he opens the secret of the medallion? Young Count Rafael Ernesto waiting ordeals. How he will cope with their troubles? Sixteen Countess Dolores Alethea regret commoners. Will she be able to help them in a moment of mortal danger? Peasant girl Ines for a loved talking to the trick. Will she learns to dress the boy-warrior? What binds the fate of the main characters? 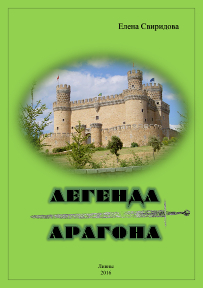 About all tell a sharp adventure story "The Legend of Aragon."